Driving along the South Tyrolean Wine Road it’s hard not to be distracted by the sheer beauty that unfolds around every corner and hill. Lush vineyards continuously dazzle one’s eyes as they cascade down steeply terraced slopes toward waves of vibrant apple orchards. Beyond the natural grandeur, centuries-old castles and steeples dot the Italian landscape endlessly adding to one’s sense of wonder. Among all this medieval magnificence, you’ll also encounter modern architectural marvels that arouse even more intrigue to the mountainous skylines. 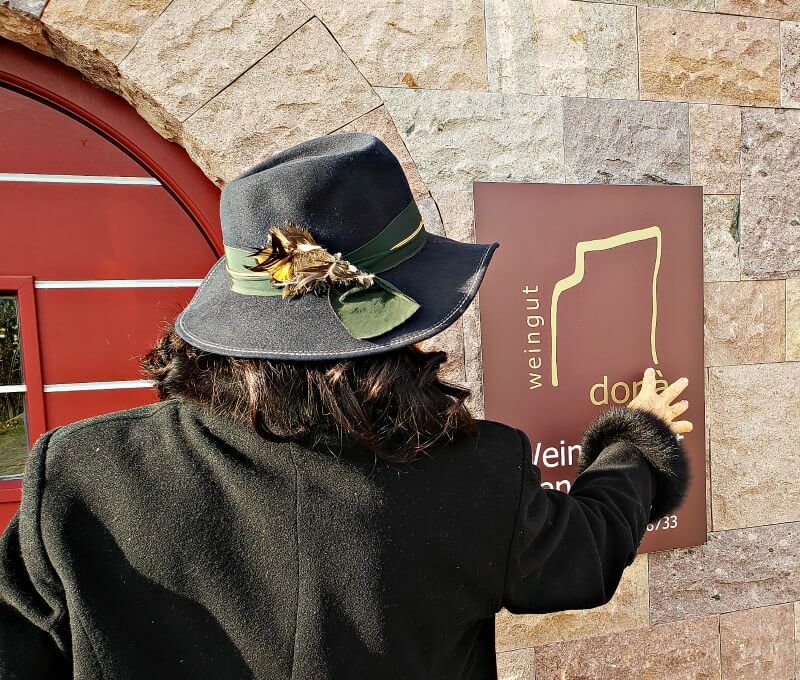 As we arrived for our tour and tasting at the Nals Margreid Winery in Nalles, a quaint mountain hamlet between Merano and Bolzano, it became clear that South Tyroleans’ love for wine may only be rivaled by their passion for erecting striking structures. The Nals Margreid Winery impresses within and without. Designed by South Tyrolean architect, Markus Scherzer, and built in 2011 after the merger of The Cellars Nalles and Magre-Niclara wineries, the main building springs up from its natural surroundings resembling intricately engineered origami. Massive windows reveal the winery’s inner workings. The entire wine production process is visible from the barrels, presses and vats. Peering inside it’s evident that while functionality and sustainable production were paramount to the building’s state-of-the-art design, aesthetics were not sacrificed in any way. No doubt a testament to the exceptional creative talents of hard-working South Tyroleans. After taking in the winery from the outside, we proceed to the main court which resembles a charming town square. 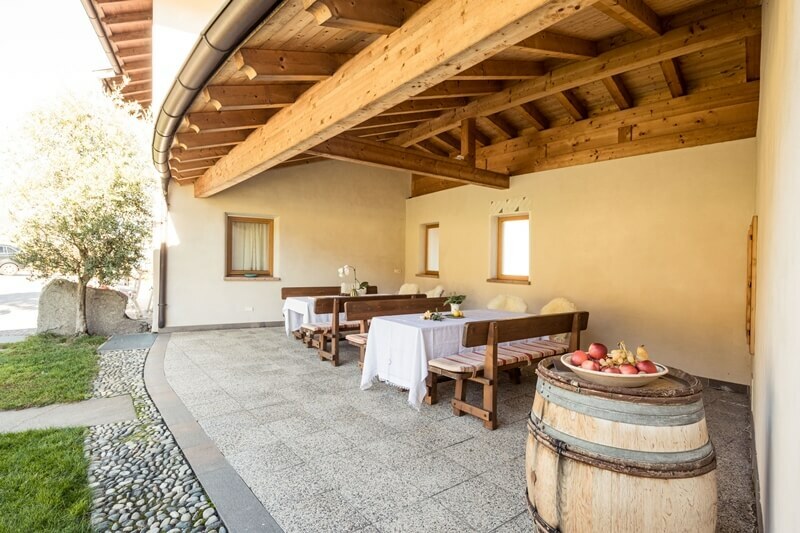 We find our friend and South Tyrol expert, Reka Hukari, inside the winery’s rustic vinoteque located in the winery’s older structure. Soon, we are met by Nals Margried’s winemaker, Harald Schraffl. Designed by South Tyrolean architect, Markus Scherzer, the Nals Margreid Winery springs up from its natural surroundings resembling intricately engineered origami. Harald has been the winery’s technical magician since 2005. Upon meeting him, one can’t help wonder if he is a close relative of Brad Pitt. We mention this to him and he assures us with a good laugh that he is not! Harald leads us through the vinoteque back to the courtyard. He points out that the vinoteque, like the rest of the winery, blends modern elements with the old such as its cobblestone flooring, which dates back to 1764. Not coincidentally, we soon learn Harald’s philosophy for producing wines exhibits the same reverence for tradition and innovation. A hallmark of Nals Margreid wines is their sophisticated harmonization with the natural environment. In the courtyard, we enjoy another sunlit evening as Harald tells us about the vineyards Nals Margreid relies on to produce its exquisite vintages. Today, 140 growers cultivate a wide range of local grape varieties covering more than 370 acres of vineyards, which sit at 200 and 900 meters above sea level. Harald points to a map anchored to the side of the winery. It identifies vineyards weaving through 14 wine growing areas in Alto Adige — spanning from Nalles/Nals to Magrè/Margreid. Given this large expanse of growing areas, Nals Margeid wine expresses an incredible range of microclimates and soils. We move from the courtyard into the initial production facility in the winery’s new building. Here, Harald shares that a hallmark of Nals Margreid wines is their sophisticated harmonization with the natural environment. The winery employs sustainable methods wherever possible. That means no herbicides. Pests and diseases are mitigated through eco-friendly techniques This approach embodies Nals Margreid’s values and extends to the production process. Once the grapes are brought to the winery, they are sent through the destemmer and immediately pressed. Instead of using pumps through the process, Nals Margreid utilizes the full strength of gravity. This gently ensures the preservation of all the characteristics that the soils and grape varieties impart to the wines. The winery holds 250 steel tanks to separate the grapes from their various producers. Renowned winemaker, Harald Schraffl, explains Nals Margreid’s sustainable production processes. Next, we follow Harald back outside and across the courtyard where we pause at a seemingly inaccessible cellar. Above us is a looming angular roof structure that appears to float as it juts out into the Alpine sky. Then, like an illusionist, Harald opens a massive hidden door camouflaged as part of the cellar’s outer wall. We laugh and follow him inside. Alto Adige produces the world’s best Pinot Bianco and Nals Margreid’s Sirmian should be at the top of your list. It is unforgettable. He gives us a tour through rows of stacked barrels performing their aging alchemy to transform grapes into vintages certain to wow the lips. We learn the oldest cellar on site dates back to 1764. After strolling around the cellars, Harald leads us up to the winery’s tasting area. We step out onto an inviting terrace that draws our eyes over an impressive vista filled with mountains and rustic rooftops. Drinking wine anywhere is a pleasure. Here, it is divine. After inhaling the view, we join Harald at a table where he has set out three bottles of wine for us to sample. The first is the award-winning 2015 Sirmian Pinot Bianco also known as Weissburgunder. 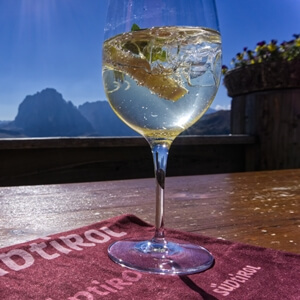 Just as South Tyrol is Italy’s best-kept secret, the same could be said for Pinot Bianco, which is a more enlightening counterpart to Pinot Grigio. Alto Adige produces the world’s best Pinot Bianco and Nals Margreid’s Sirmian should be at the top of your list. It is unforgettable. And no surprise the wine Nals Margreid is most famous for. Once poured and swirled in our glasses, the wine reveals aromas of apple, pineapple and peach. It delightfully dances in the mouth and has a slightly acidic finish. 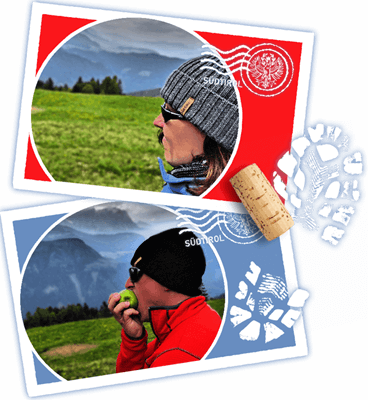 A true expression of Alpine wine. Harald mentions that this wine is the perfect companion to pasta, risotto or fish. We can’t wait to try it at our next meal. Next, we taste the 2015 Mantele Sauvignon, which is aged 8 months in big oak barrels. Its fresh and fruity aromas include notes of citrus, grapefruit, blooming elderflower and pepper. Harald informs us the deep gravel of the Mantele growing area provides their Sauvignon with its spiciness and body. The area’s cool evenings and the high heat during the day help imbue its fresh structure and fruity bouquet. It is a wine that goes well with starters and veggie-based dishes especially asparagus. We really enjoyed this wine and could easily make it our go-to when relaxing on a summer day. Last, we taste the intensely crimson 2015 Lagrein, which is grown further south near Bolzano where the grape thrives in warmer temperatures. As we’ve noted in previous posts, Lagrein was relatively unknown to us so we were thrilled to be trying one at Nals Margreid. For those not familiar with Lagrein it is a centuries-old grape native to Alto Adige. Our wine tasting included a Pinot Bianco, Sauvignon and Lagrein. Nals Margreid’s Lagrein revealed blueberry aromas, a trace of cherry and medium-bodied with a spicy taste. As fans of wild game, this is a wine we would definitely choose when enjoying venison stew. However, we thought it was also nicely balanced and could enjoy it on its own while unwinding after a busy day. After the wine tasting, Harald invited us to consume the view from the terrace a bit longer. We were not about to decline. When you encounter such sights you’d be crazy not to savor it just like a fine glass of wine. Nals Margreid’s star is rising in the United States. While it’s a newer market for the winery, be sure to ask for their exquisite wines at your local wine shop. We recently found a Nals Margreid 2014 Galea Schiava, which is a lighter bodied red from the winery. After pouring, it required a bit of breathing before opening up into an easy to drink wine that was truly delicious (it did not last long!). We have since gone back and purchased a few more bottles for our wine rack. 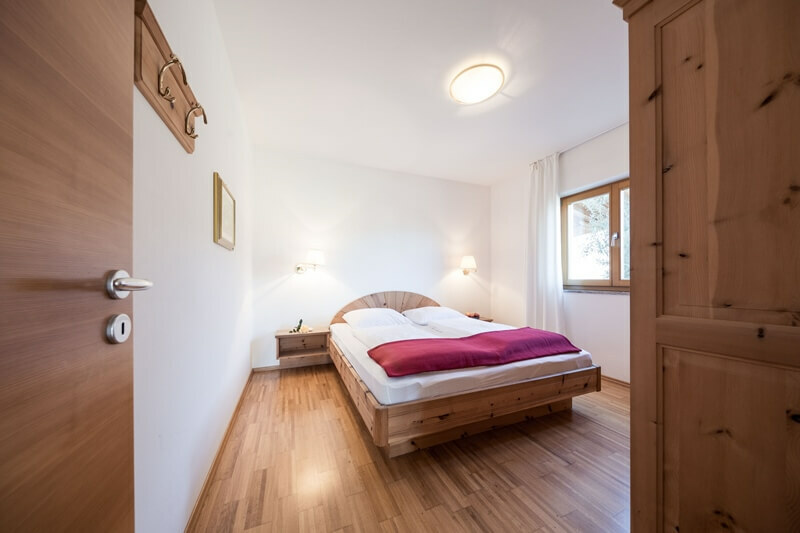 If you’re planning a trip to South Tyrol, add Nals Margreid to your itinerary. You will not be disappointed. With a rental car, you can easily reach the winery, which is located on the northern end of the South Tyrolean Wine Road. If you are blessed to have Harald as your guide, tell him greetings from Throne & Vine! You can learn more about Nals Margreid’s wines and available tours by visiting their website. When one of Italy’s most celebrated winemaking regions boasts 3,000 years of viniculture, it’s hard to imagine there’s much room for improvement. Unless you’re Elena Walch. 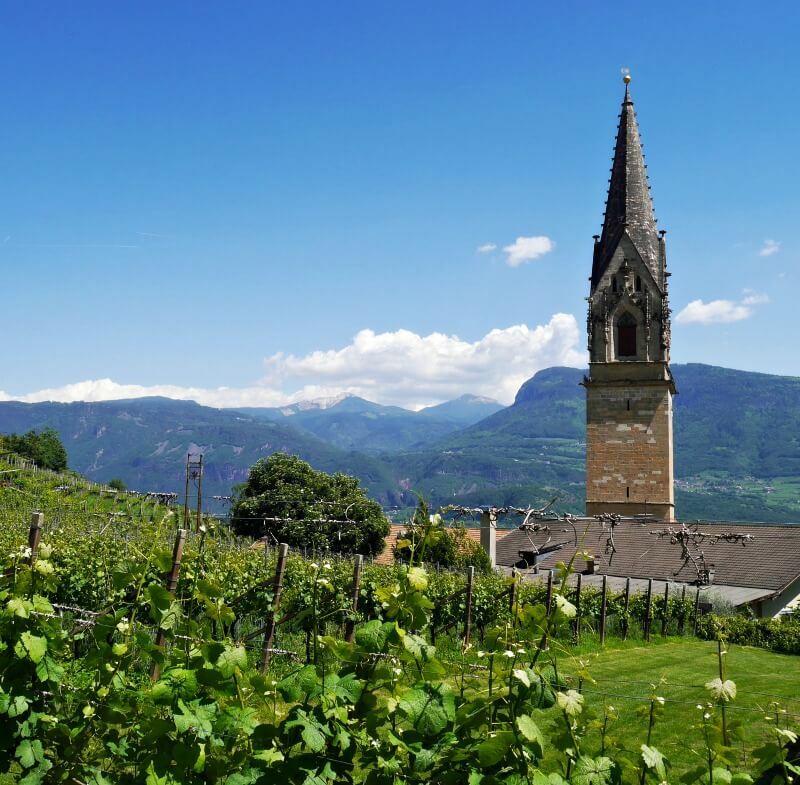 In the 1980s, Elena married into one of the oldest winemaking families in Italy’s northernmost wine region, Alto Adige (also known as South Tyrol), a stirring Alpine wonderland alive with countless castles, storybook villages, lush valleys and the most stunning vineyards in the world. With her, she brought vision, paired with passion. 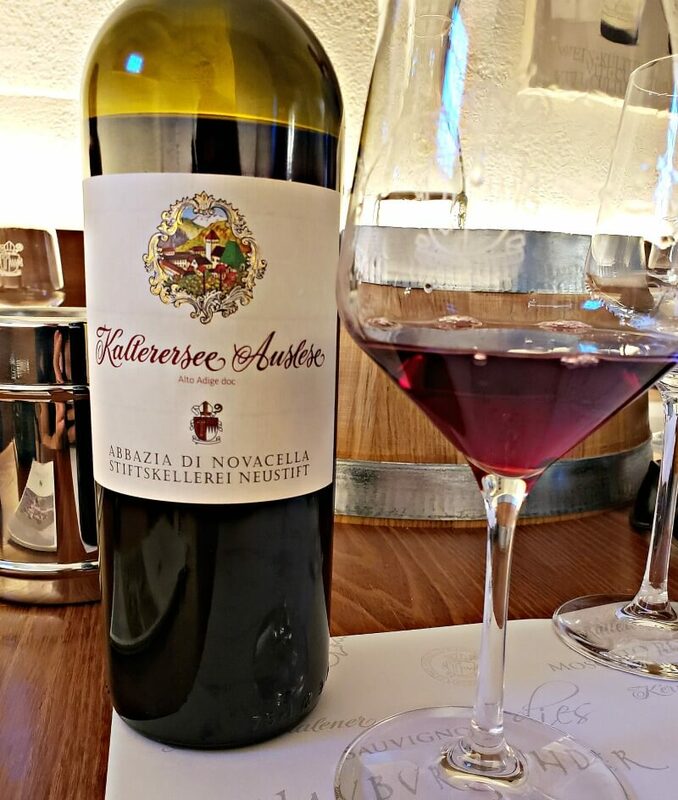 And within a matter of years that potent combination saw Elena instill innovation into age-old winemaking practices — elevating Alto Adige wines into the realm of unrivaled quality. When I first heard about Elena Walch I was instantly intrigued. How often are women celebrated for boldly challenging the status quo? Not nearly enough. Before we left on our latest South Tyrolean adventure, my husband, Vin, and I made plans to visit her estate. The trip did not disappoint. 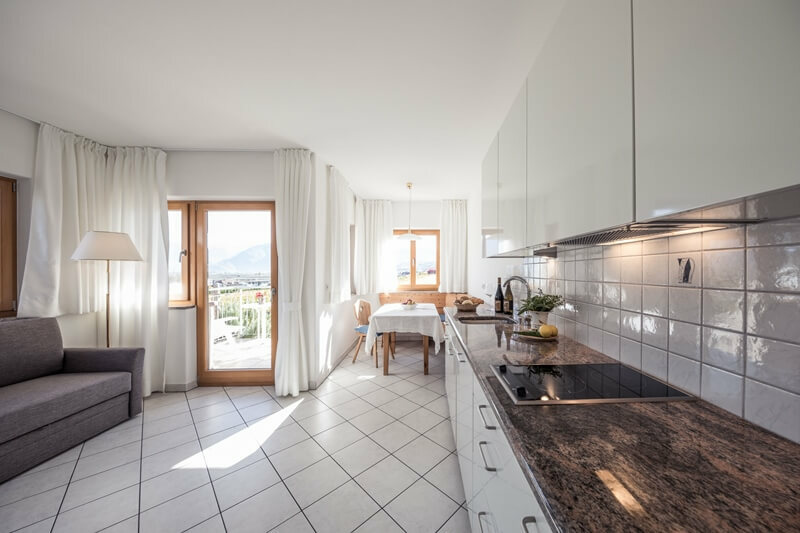 After finishing a late breakfast we drive about half an hour into the heart of Alto Adige’s winegrowing region — breezing past tempting photo opps and idyllic hillside towns along the South Tyrolean Wine Road (Weinstrasse). We eventually arrive at Tramin — a wine village seemingly lost in time and home to the Elena Walch estate. We park and meander through Tramin’s winding passageways toward the winery. The village peacefully invites you into the past. And if we were here on any other day I would have likely let its seductive stillness transport me. I make mental notes on sights to revisit later. The church of St. Quirikus and Julitta in Tramin demands your attention from the South Tyrolean Wine Road with its striking Gothic steeple. It crowns the highest free-standing stone masonry tower in South Tyrol. The Elena Walch estate unfolds from the cobblestone surroundings and reveals beautifully landscaped grounds bringing to mind a scene from The Secret Garden. Walking through the entrance we notice touches of modern elegance blending into the estate’s historic architecture. Anna Marsoner, our guide for the morning, soon greets us with a wide, warm smile. We exchange introductions and begin our tour by following her to the winery’s newest addition. Elena Walch wines are made among some of the most beautifully manicured grounds in South Tyrol. We walk into a room with towering glass walls graciously offering views of distant mountains. Anna invites us down steps into a state-of-the-art fermentation cellar. We are immediately struck by the happiest of all aromas — grapes becoming wine. We encounter rows of French and Slovenian oak barriques masterfully aging wine into expressions distinct to Elena Walch. 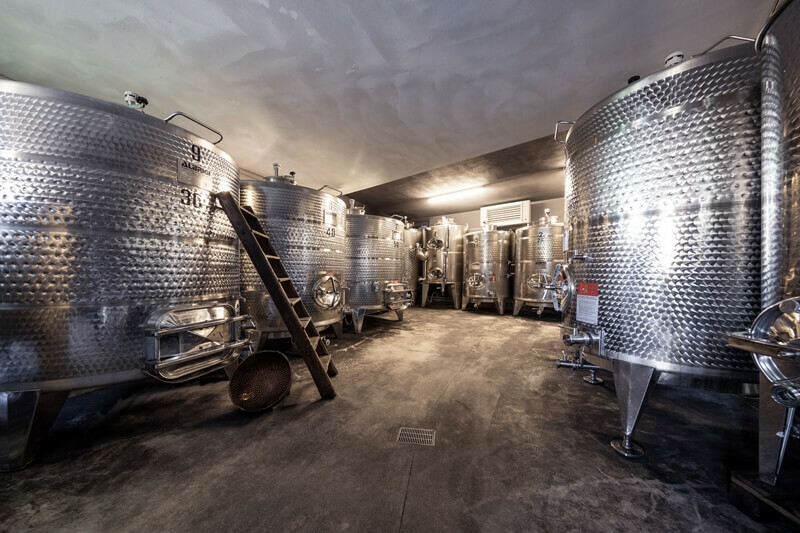 Built in 2015, the cellar holds immense stainless steel fermentation tanks. An LED display glows from a nearby wall and Anna shows us how the winery applies climate control technology to produce vintages to exacting standards. The room is softly lit by violet lighting that delicately shimmers off each tank. Anna tells us Elena was an accomplished architect before her marriage. The exquisite ambiance of this space leaves no doubt in my mind. Anna walks through how Elena Walch’s state-of-the-art fermentation cellar allows the winery to consistently produce high-quality vintages. Moving on we venture deeper into the cellar entering a vast room that looks to be carved out of a mountain. Here, more massive steel fermenting tanks stand against stone walls naturally cooling the cellar air. Anna ducks us into a tunnel that runs to a dark cavernous area. It looks like we are walking through a passage that belongs deep within the belly of a castle. We encounter rows of French and Slovenian oak barriques masterfully aging wine into expressions distinct to Elena Walch. Deeper into the mountain we go. She tells us the first building on the property was a Jesuit convent for 70 years before being purchased by the Austrian founder, Wilhelm Walch, in 1869. From here, we head up steps into another cellar where massive wooden casks surround us from all sides. As much as the new fermentation cellar gave us a peek into the winery’s future, these imposing wooden monoliths wow us back in time. The face of each cask bears the ornate craftsmanship of woodcarvers from Val Gardena, a valley in Alto Adige’s Dolomites mountain range. Every chiseled mark forges a story commemorating significant occasions in the estate’s history. I stare at them as if I am in an art gallery. One can’t help wonder how long it took to carve out such detail…and how these immense wine barrels were transported long ago. The artisans certainly did not roll them down the mountain. The massive casks of Elena Walch are true works of art in the wine world. The oldest cask dates back to 1878. But, the one I find most interesting has a delightfully mischievous depiction. Thanks to a poor translation, the woodcarver etched horns on a likeness of Moses rather than the intended halo. The value of preserving vineyards for future generations has become a celebrated standard in Alto Adige thanks to pioneers like Elena. The largest cask is born of Slovenian Oak from Croatia and holds 180 hectoliters. Anna quickly puts the number into terms we can grasp telling us it would take 65 years and 7 months to empty completely! 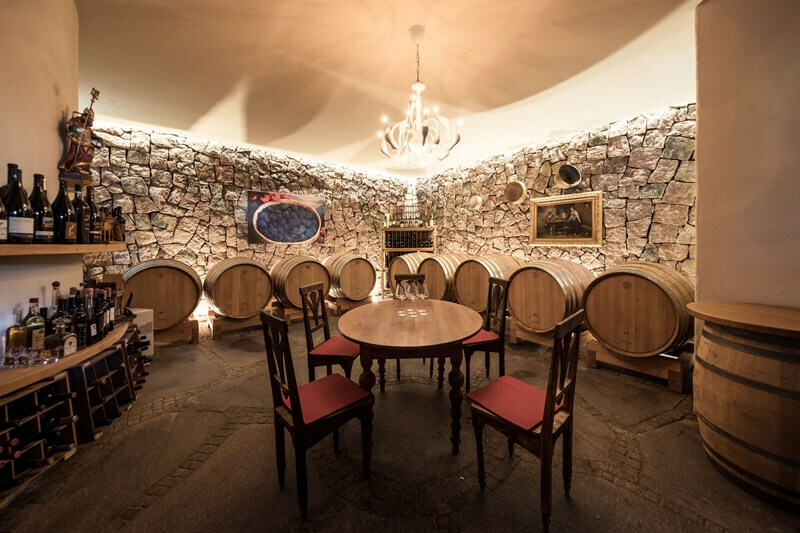 While admiring these historic casks, Anna informs us Elena Walch produces 500,000 bottles each year primarily from two nearby vineyards, Castel Ringberg and Kastelaz. In total, her vineyards comprise 60 hectares. Hard to picture? Imagine roughly 60 baseball fields flush with vines. Moses with horns? The woodcarver may have had too much wine. 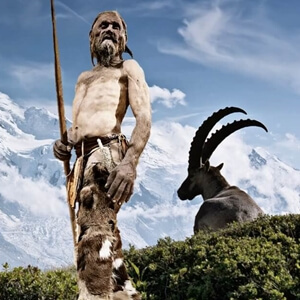 He mistakenly chiseled a pair of horns on the biblical figure rather than a halo. Continuing on we are surprised to learn hands pick every single grape that goes into an Elena Walch wine bottle. I am ready to volunteer. Anna also informs us the vineyards flourish without applying any herbicides. Elena was among the first in Alto Adige to make sustainability a hallmark of her wines. This meant producing wine in harmony with nature and reducing quantity to place supreme importance on uncompromising quality. Taking such a position was initially met with resistance by wine producers firmly rooted in tradition, but the value of preserving vineyards for future generations has become a celebrated standard in Alto Adige thanks to pioneers like Elena. Nearly every facet of her wine production considers the environmental impact — from practicing sustainable cultivation to solar powering the estate to using corks from forests certified by the Forest Stewardship Council. As our tour comes to an end, Anna leaves us in the estate’s garden where a table with wine glasses radiates in the late morning light. We sit down and enjoy the sun pouring through the trees. In no time we are greeted by Karoline Walch, one of Elena’s two daughters actively working in the family business. Karoline and her sister, Julia, are poised to follow in their mother’s footsteps and one day lead the estate. Karoline enthusiastically joins us at the tasting table. Her passion is immediately evident as she takes us on a journey through an array of her family’s award-winning wines. We begin with the single vineyard Pinot Bianco “Kristallberg”, the grapes of which are grown at a height of 600 meters (nearly 2,000 feet). The vineyard’s dramatic temperature swings between night and day give the Pinot Bianco “Kristallberg” a bright crispness, mineral tones and a bouquet flush with green apple and white peach. After a couple of sips, I find myself indulging more than tasting. The wine sings with summer elegance and I make a mental note to serve this splendor at my sister’s baby shower in August. One sip of Elena Walch’s Gewurtztraminer and it’s clear this is a wine that demands to be noticed. After we finish sampling the Pinot Bianco we move on to the only Vigna-certified Pinot Grigio in Italy. Karoline shares that after five years a vineyard may apply for Vigna certification, which certifies the wine is born from a single, geographically-defined vineyard. Producing a wine in this manner ensures the heart and soul of the land are personified in each bottle — a guiding philosophy of the Elena Walch estate. Pinot Grigio is my personal vice, so I am especially excited to try Elena Walch’s Pinot Grigio “Vigna Castel Ringberg”. Its rich fullness and fruity aroma immediately impress as I sip. Now, I have two Elena Walch wines I must serve at my sister’s shower. Naturally, I want more, but we continue with the Sauvignon “Vigna Castel Ringberg”. This wine equally pleases — perfectly balancing its Alpine heart with its French roots. My wine list for the shower grows by one more. Karoline Walch joined us to conduct a grand tasting of the family’s award-winning wines. Next, we try Elena Walch’s Gewurztraminer “Vigna Kastelaz”, the most popular and award-winning wine in her portfolio. 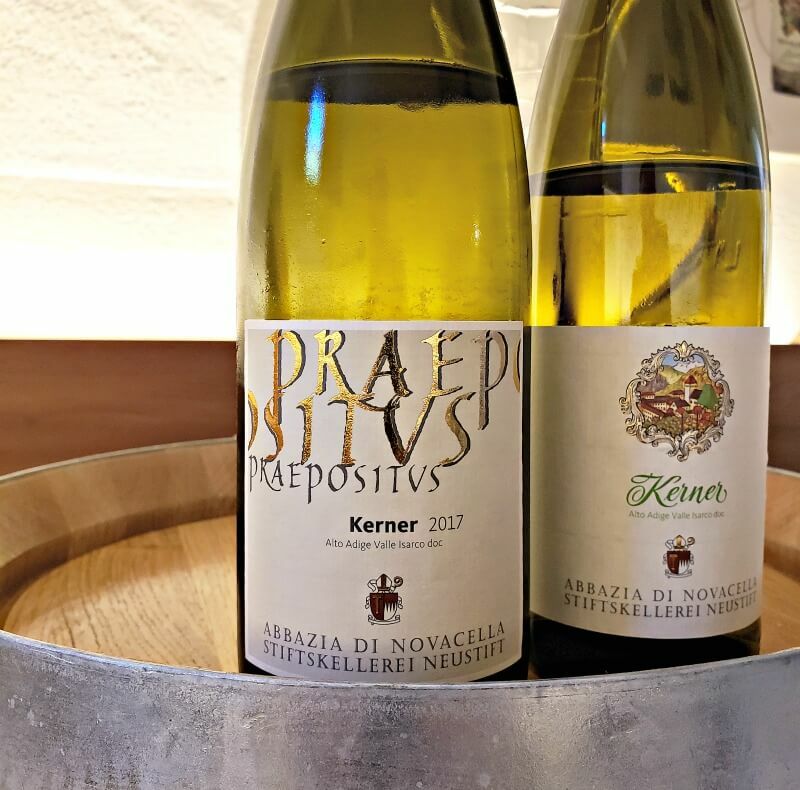 Translated, Gewurztraminer means “Spices of Tramin”, which is quite fitting as this northern Italian treasure pairs best with spicy Asian cuisine, seafood, cheeses and dessert. One sip of Elena Walch’s Gewurtztraminer and it’s clear this is a wine that demands to be noticed. It is immensely lush and intensely complex. A delight for both the nose and mouth. Vin says this is his personal favorite. What makes Elena Walch’s Gewurztraminer especially unique is where the grapes are grown. All vineyards in Alto Adige face to the East or West, but Elena Walch’s Kastelaz vineyard is an exception. It is the only south-facing vineyard in Alto Adige. Here, the vines thrive on a steep 63-degree slope and enjoy cool Mediterranean winds from Italy’s Lake Garda. While Alto Adige is best known for world-class white wines, the red wines from Elena Walch should be on your radar. The last two wines we sample are the Pinot Nero “Ludwig” and the Lagrein Riserva “Castel Ringberg”. Elena Walch’s Pinot Noir was recently recognized as the second best in Italy. Recently named the second best Pinot Noir in all of Italy, the Elena Walch Pinot Nero “Ludwig” is enticingly ruby red in color and delicately juicy. The finish is smooth with a slight tanginess. Definitely a wine I want to explore further. Like the Pinot Grigio we tasted, the grapes for Elena Walch’s Lagrein Riserva come from the winery’s Castel Ringberg vineyard. Set on a hill off of the South Tyrolean Wine Road, the Castel Ringberg vineyard overlooks the sky blue waters of Lake Caldaro. A castle built in 1620 rises from the surrounding vines. We admit to Karoline the Lagrein grape is a bit of a mystery. She informs us it is a sun-loving grape native to Alto Adige and is a cross between Syrah and Pinot Noir. Elena Walch’s Lagrein Riserva made us raving fans of this lesser known red. 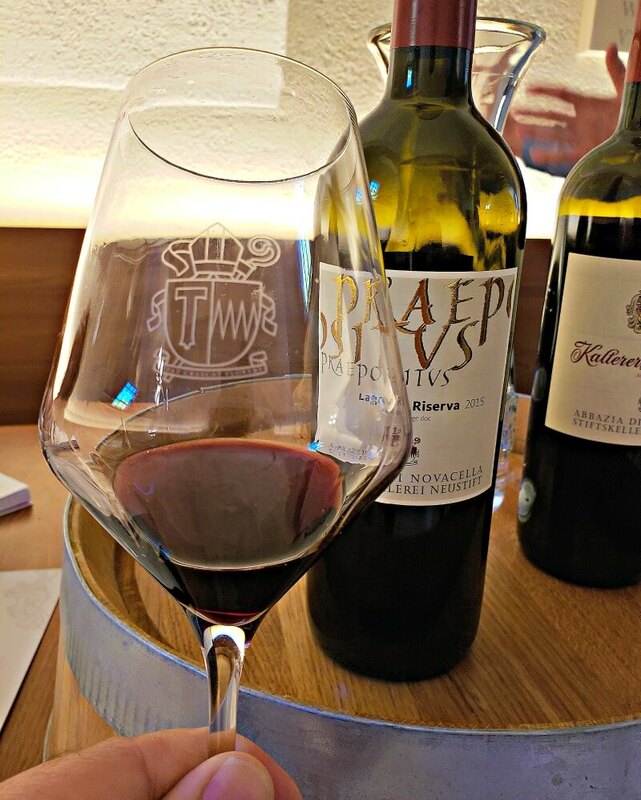 In our wine glasses, the Lagrein Riserva showcases a deep red color. Its nose recalls an Alpine berry jam we enjoyed at breakfast earlier. The wine itself is robust with touches of spice and fruit and has a pleasantly long finish. Karoline points out that it pairs well with venison and other meats. Vin comments he can’t wait to try it with the wild game in our freezer back home. That is a nice thought for him, but I am busy thinking about how we can stay longer at this heavenly place. 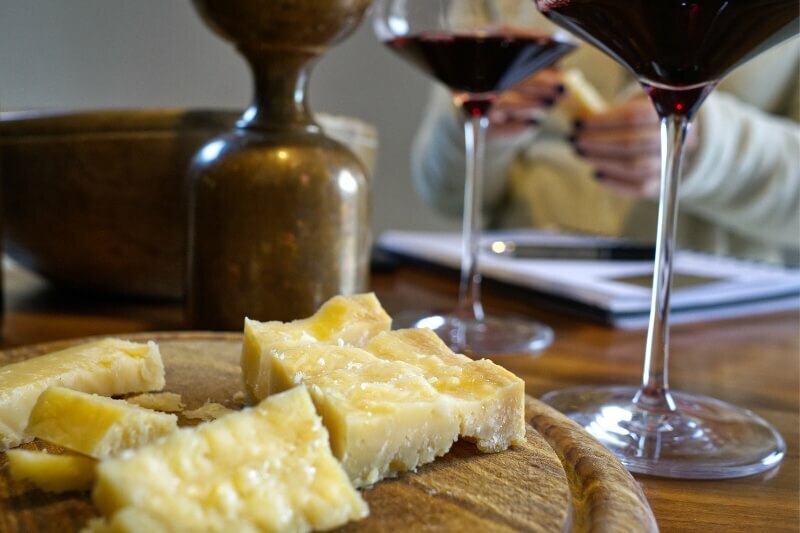 We conclude our tasting with Karoline, but before leaving the garden we enjoy more Lagrein and a savory plate of local specialty cheeses and cold cuts from La Verre Capricieux — a stylish bistro on the property. Our time at the Elena Walch estate was a truly inspiring way to spend a morning in Alto Adige. Elena Walch’s impeccable wines are not to miss. And touring the estate is a must when visiting this part of Italy. Like us, you’ll come away with a deep appreciation for the eloquent vision and devotion to quality Elena Walch, her daughters and the estate’s staff bring to every bottle they produce. 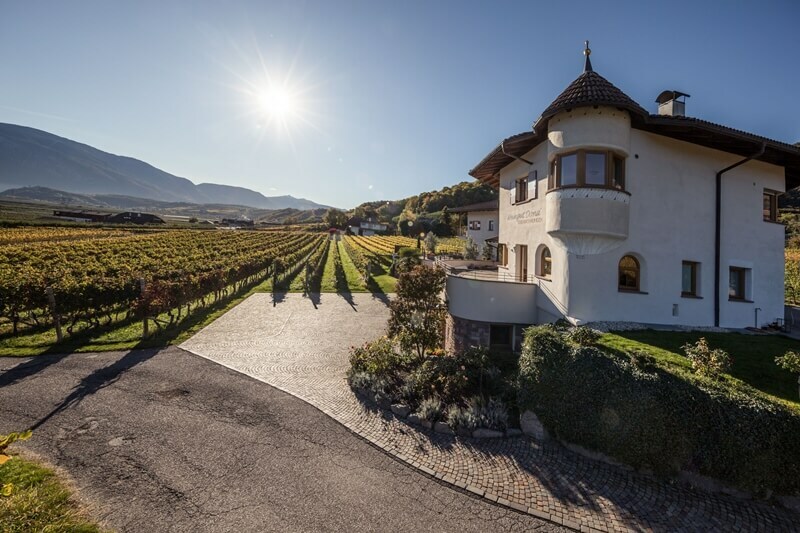 When traveling the South Tyrolean Wine Road, you can also visit the Castel Ringberg estate of Elena Walch, which offers stunning views of Lake Caldaro you won’t forget. 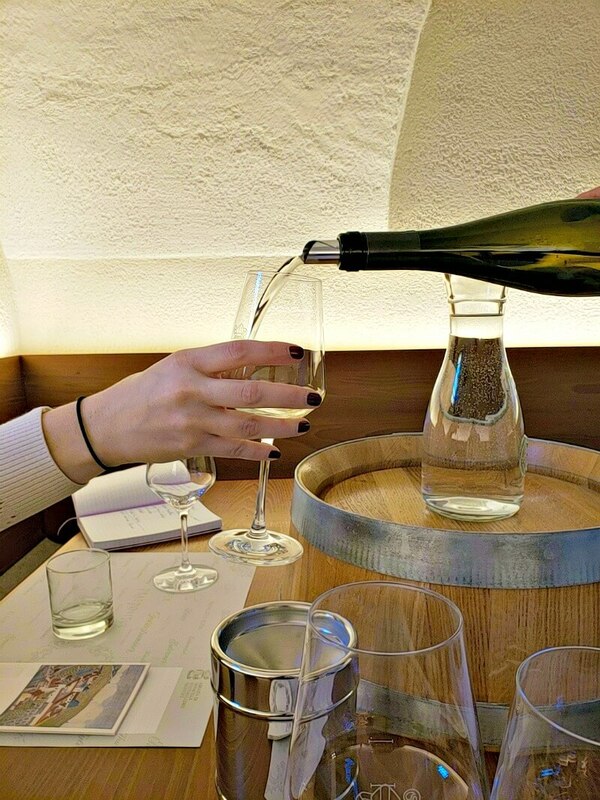 You can learn more about these amazing Alto Adige wines and available tours by visiting the Elena Walch website. Be sure to ask for Elena Walch the next time you are at your local wine shop. And if you don’t know South Tyrol, Italy, do your wanderlust heart a favor and discover why it needs to be at the top of your travel wish list. South Tyrol’s Lake Caldaro beams from just beyond the rolling vineyards of Elena Walch. 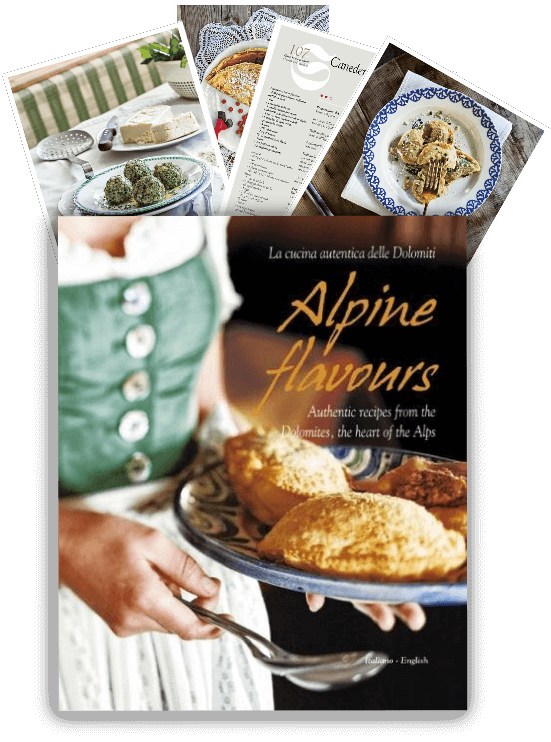 Check out the below articles to explore other exquisite wines from the Alpine regions of Italy. TAP TO SAVE TO YOUR WINE WISH LIST!